Chunk is a huge Paw Patrol fan and already has most of their toy range, so when I was given the chance to try out the new Paw Patrol Weebles I knew he would jump at the chance. 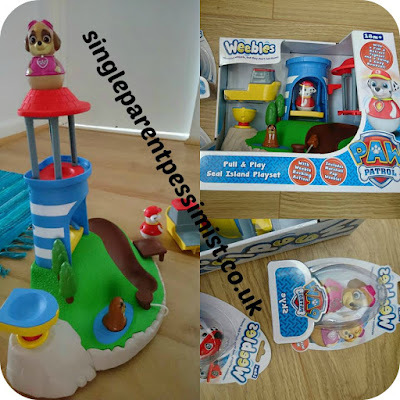 He got to test the Seal Island Pull and Play Playset which is ideal for kids aged 3-5 years. It comes with one of the Paw Patrol characters and you can buy the others separately. Chunk has the Marshall, Skye and Zuma Weebles and thankfully they only cost about £4.99 each so he will be able to get the whole set. 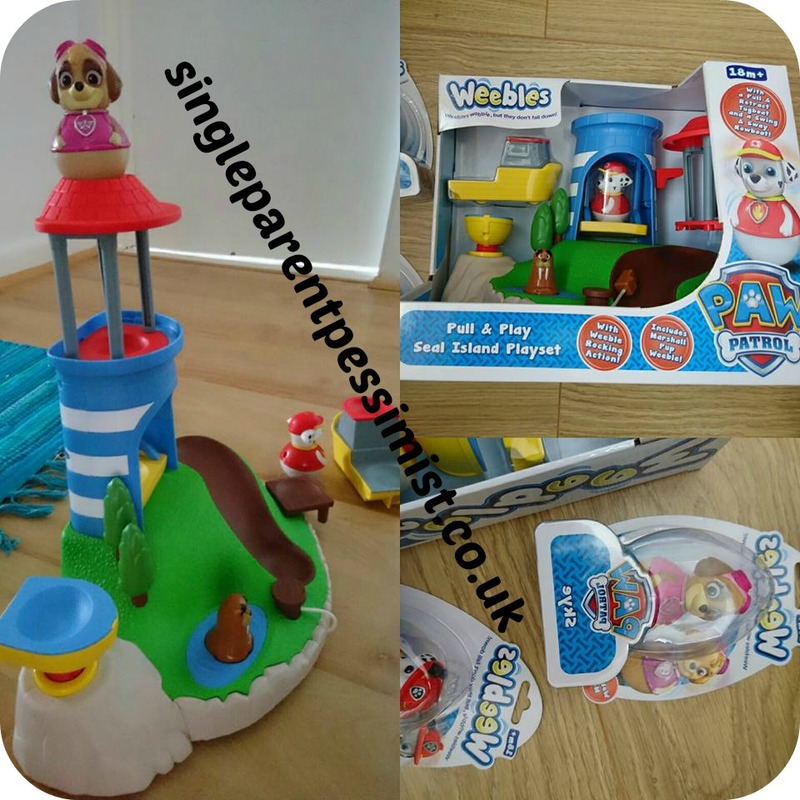 The playset features a rock and wobble path, a lookout spot, swing and a tugboat. The boat has a rope which can be pulled and retracted which has mesmerised Chunk for hours. He loved seeing the Paw Patrol characters as Weebles and was determined to make them fall down, but obviously they only wobble and never fall down so it was funny to watch! I like this playset because Paw Patrol is such a popular show at the moment and seeing them in Weebles form is refreshing from all the other Paw Patrol merchandise I've had to get for Chunk recently. I think younger children could also play with this set because it doesn't have any small bits they can eat and it's quite an easy-to-use set that a one or two year old could quite easily enjoy too. UKMums.tv are having a Twitter Frenzy party on 31 August where you can win some of these Paw Patrol play sets simply by retweeting and joining in with their Twitter chat. Chunk was sent this playset to test for the purpose of this review. All opinions are honest and my own. Good review - I like the sound of these wobbling toys.